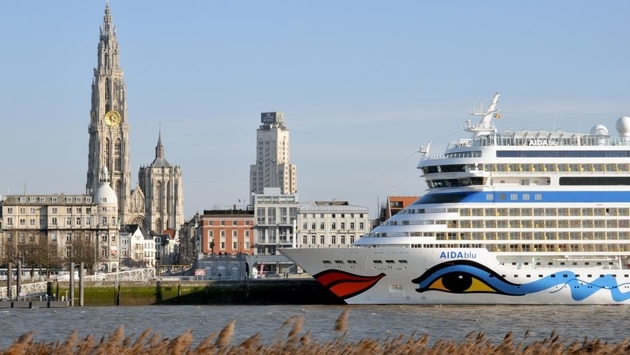 The Scheldt River made Antwerp one of the trade capitals of the world during the Renaissance and now, thanks to some major investment, the city’s Scheldt River waterfront is having a renaissance of its own. Antwerp can’t be defined as one of Belgium’s charming small cities as in Bruges and Ghent, as Europe’s second largest port after Rotterdam, it’s still a vital history shaping city with an atmosphere that suggests a sort of Medieval Noir. The Antwerp waterfront is taking on a new luster as a center for tourism. In the 1600s Antwerp became the pre-eminent diamond dealer in the world and today 80 percent of the world’s diamonds move through the city. When this part of Europe basically invented global maritime trade, Antwerp stood shoulder to shoulder with Amsterdam as a major center of global capitalism. In fact, the legendary economic historian Fernand Braudel called Antwerp, in its 16th century prime, “the center of the entire international economy". The Golden Age of Antwerp began when the far prettier Bruges began its descent as a trading center when its connections to the sea silted up. Thus the merchants that had made Bruges such a center, moved to Antwerp in the 15th century. Rubens put Antwerp on the art map and most recently the city’s Academy of Arts has made it a fashion capital. Art, music, fashion and the roughly 450 beers produced in Belgium have made Antwerp one of Europe’s hipper cities for younger travelers. At night the streets offer a real pageant of young fashionistas juxtaposed against antique industrial space such as old warehouses. When the maritime businesses moved up river many of Antwerp warehouses and other industrial structures became available for transition and many have become restaurants, galleries, restaurants and nightclubs. Over the last decade Antwerp has been building and renovating along a stretch of its waterfront more than 3 miles long. The towering icon of that development right now is the new $25 million Red Star Line Museum, a sort of sister museum to New York’s Ellis Island, that tells the story of the departure of European immigrants to America aboard the Red Star Line. Antwerp reels in about 50,000 overnights per year from the U.S. market and it’s hoping to attract more Americans with the Red Star Museum with its story that joins both countries.